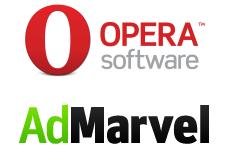 This morning, Norwegian browser maker Opera Software announced that it has agreed to acquire AdMarvel, a small privately-held mobile advertising company based in San Mateo, California. Opera is buying the startup for approx. $8 million in cash plus a $15 million earnout, which will be paid in cash only if “certain aggressive financial targets” are met over the next 24 months, TechCrunch has learned. AdMarvel, founded in 2006, enables publishers and operators to source, manage and track advertising from virtually any ad network. The company works with a wide range of mobile publishers, developers, carriers, ad networks, agencies and advertisers to optimize advertising inventory and revenue. Its services work across mobile web, WAP, SMS and in-application modalities. Formerly named Frengo, the startup was founded by CEO Mahi de Silva (ex-VeriSign and Apple) and a number of other former VeriSign executives. According to our records in CrunchBase, Frengo raised a total of $8 million over the years from investors like Index Ventures, Khosla Ventures and Trilogy Equity Partnership. “In our fast-growing industry, mobile advertising represents an interesting long-term revenue opportunity. Every month, nearly 50 million people access the Web using Opera on their mobile phones and together with AdMarvel, we think we can play an important role in the evolution of mobile advertising,” says Lars Boilesen, who was recently promoted to Chief Executive Officer at Opera. Opera says that the acquisition of AdMarvel will enable it to expand its portfolio of products and services to include ad monetization services for Opera-branded mobile products offered by operators and content partners. This is the latest in a series of acquisitions in the mobile advertising space, although this is a minor one in comparison to Google’s purchase of AdMob ($750 million) and Apple’s acquisition of Quattro Wireless ($275 million).